Composite video via a cheap USB-powered PAL to NTSC converter (sold under many brands — mine is labelled “KEEDOX® PAL/NTSC/SECAM to PAL/NTSC MINI Bi-directional TV Format System Converter”) into television composite: horribly distorted snowy display with very slow refresh. Are there solutions known to work that might make the games of my youth playable again? The hardest one (because it is still WIP) is to remove the PAL ULA and get a NTSC ULA. 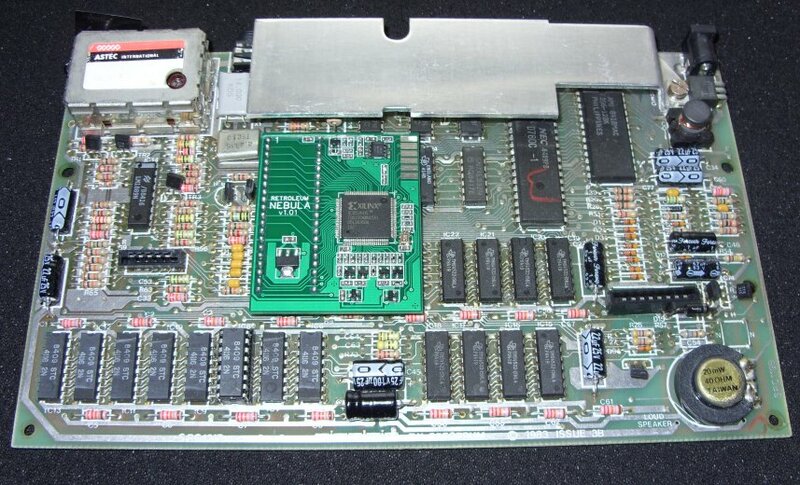 NTSC ULA's existed for some clones intended for the American market. Today they are very rare chips. However, there are some projects that aim to design a direct replacement ULA using programable logic. These projects may support NTSC output with no effort. Besides, you would need to change the 4.43 MHz crystal with a 3.57 MHz one, and possibly some passives that belong to the LM1889 circuit. This option, once such replacement ULAs become available, has the advantage of having everything inside the case, with no extra equipment, so you end up with a true NTSC system, with 60 Hz vertical refresh. However, the main inconvenient is that games and demos expect vertical interrupt to occur every 20ms, or 69888 CPU clock cycles. Some of them rely on these timings to perform various multicolor effects, or achieve flicker-free sprite animation. 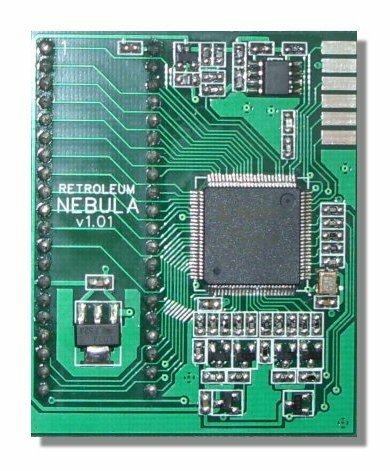 As of today, the only ULA replacement readily available is from Retroleum, and it is called Nebula. According to their FAQ they don't have plans for NTSC support, though. It's a pity you don't have a SCART input in your TVs, as this tend to be very flexible with video timings, and as there is no modulation, but pure RGB, you actually get colour. In case you might have a TV with SCART inputs, the Spectra interface is able to generate a clean RGB signal from a Spectrum 48K, no matter if it has the composite mod applied or not. The remaining options are actually variations of the same idea: to convert the PAL composite video signal into a format understable by equipment available in America. 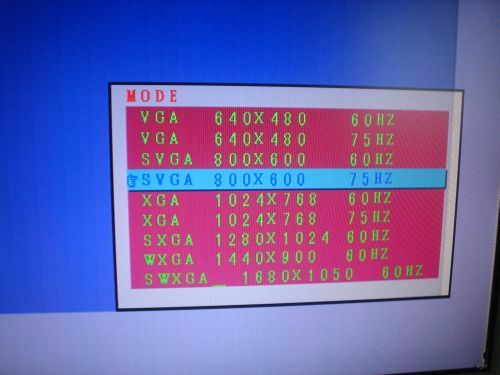 AFAIK, American TVs understand composite video, YPrPb and HDMI, with some of them understanding VGA as well. These devices perform a full frame upscaling. That is: there is a memory that serves as frame buffer, actually, with enough capacity to hold two frames. 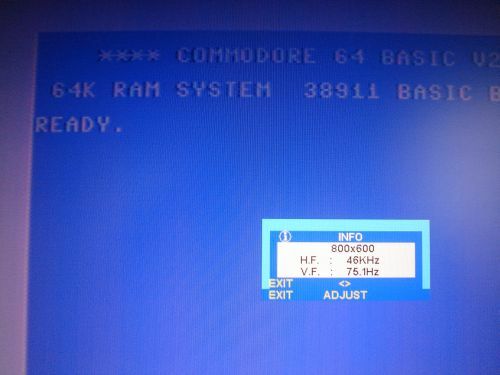 The premise is that while the image from the composite video input is being stored in one frame buffer, the other one is being read at the required speed for the output image to be rendered. The advantage with this approach is that no matter the format or timings of the input image may have, the output image will have timings that will match your equipment. The disadvantage is that vertical refresh frequency won't be the same (specially if the input is PAL, which operates at 50 fields per second), so both frame producer and frame consumer won't be able to be in sync and sometimes, a frame that is being read by the frame consumer to produce the output will be rewritten in the middle of the operation by the frame producer, causing some tearing that may be visible if the screen features full screen animation such as full screen scrolling. There is this device. It is small, and is able to convert a composite video signal, either NTSC or PAL, into VGA, with the user having several choices about what resolution and refresh the outputted image will have. Here you can see that I am feeding the converter with a PAL signal from a PAL C64, while the output signal is rated for 75 Hz. And this is the menu from which you can change the output resolution to better match your monitor's native resolution, if possible. 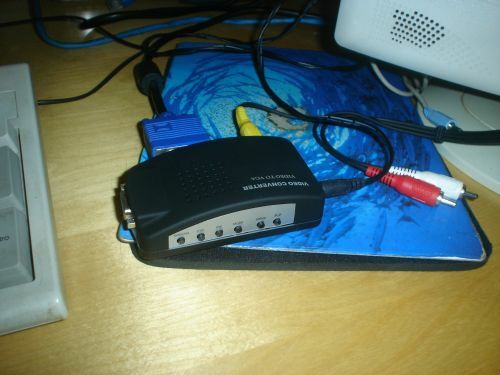 Analogously, there are converters from composite video signal to YPbPr or HDMI. All of these are upscalers, and hence, will suffer from the tearing effect described above. I highly recommend the XRGB-Mini (it's often called "framemeister") - got one for my Commodore's and it works flawlessly. I'm in Japan but all my computers are PAL versions (on purpose). The device is expensive, but if you start buying various adapters for a test you're likely to waste a lot of time and money anyway. If you're using a regular TV - any HDMI converter box might work, but you need to ensure your TV has 4:3/16:9 aspect ratio selection as HDMI by default is 16:9 - I have one of such boxes and my PC monitor has no aspect ratio selection so I retired it. Also, modern TV-sets are multi system anyway, even if the manual doesn't mention it (the chips are almost always multi system), it turned out that my TV-set supports PAL flawlessly, and ironically the manual specifically mentions that it only supports NTSC. 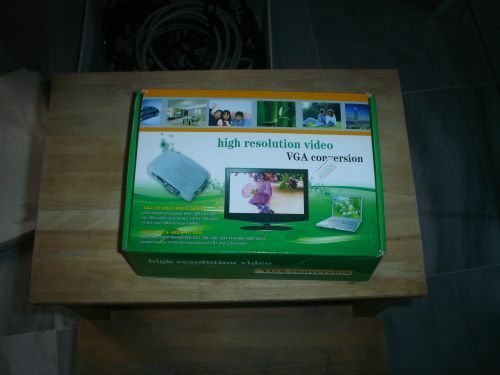 I use a USD$35 generic "HD Video Converter SCART/HDMI to HDMI 720P/1080P" box (listed as "HDV 8S" on this page) which accepts composite through the SCART connector and supports both PAL and NTSC signals. Into that I've plugged a passive Composite-to-SCART adapter which also accepts L/R audio. This setup works with my French Amiga CD32. The XRGB-Mini scan doubler ($325+) is supposed to work better and add less lag, but the price! I can confirm that some cheap car DVD players can be used as a multi-standard composite monitor. The one I bought — a refurb Philips PD7016/37 — comes with two identical display/player units. If you use a 3½ mm TRRS to Composite cable, such as this TechCraft 4' 3.5mm Stereo to Composite Video + Audio Cable (3 RCA), you get a usable picture. Not the answer you're looking for? Browse other questions tagged zx-spectrum video ntsc pal or ask your own question.